Set of 2 paddles with ball in black drawstring pouch. 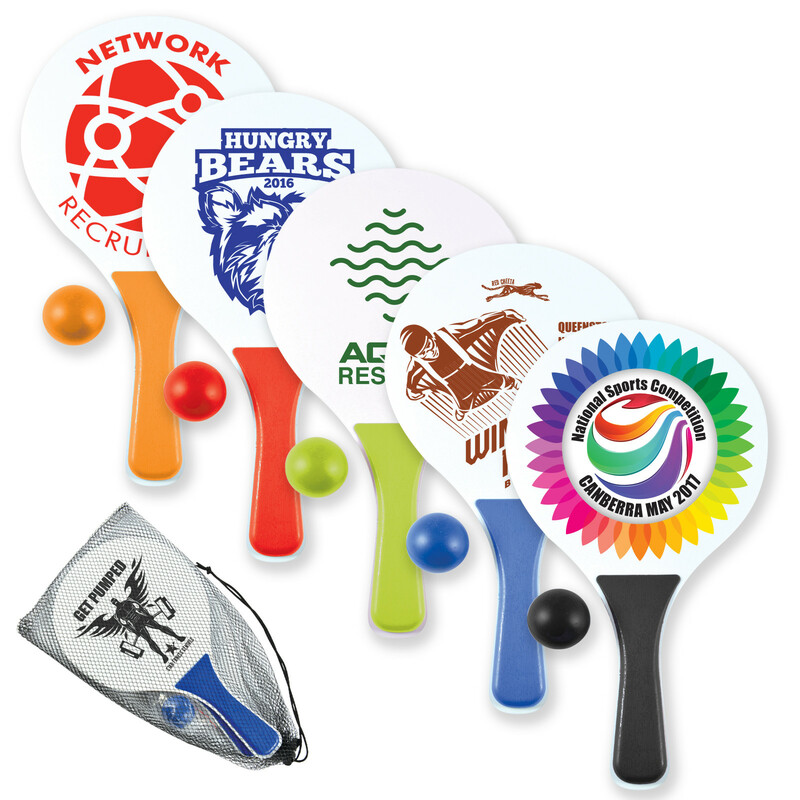 Great product to promote healthy living campaigns. Get active at the beach, park and outdoors.